Buried In a Cape, Andrew’s first solo project, was released September 14, 2018. The album is a collection of his instrumental work. He wrote these songs on and off the road, and the recording session was scheduled on a whim at the Butcher Shoppe in Nashville, TN with Eli West (guitar, banjo), Christian Sedelmyer (fiddle), and Clint Mullican (bass). These 14 unique compositions highlight Marlin’s skills as an instrumentalist, while showcasing that Marlin's writing skills are not confined to poignant lyricism. In addition to working on all of Mandolin Orange’s records, Andrew has acted as producer for a number of artists in the Folk/Americana/Bluegrass world. Recently released albums produced by Andrew include Bobby Britt’s Alaya (released May 2018), Kate Rhudy’s Rock N’ Roll Ain’t For Me (2017) and Rachel Baiman’s Shame (2017). 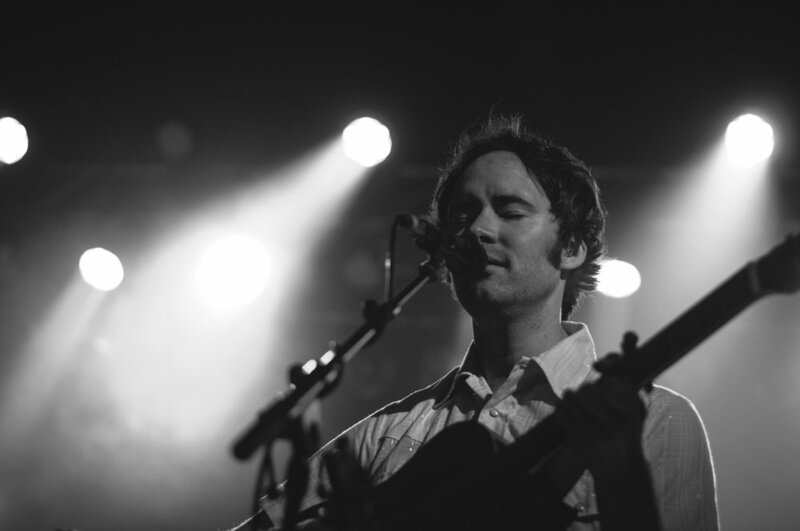 You may be familiar with Andrew from his involvement with Chapel Hill, NC duo Mandolin Orange. As the songwriter for the band, Andrew has become known as a gifted lyricist, producing powerful yet subtle, thoughtfully crafted songs. With Mandolin Orange, Andrew has toured the world, graced famous stages (including the Ryman Auditorium, Red Rocks Amphitheatre, and Newport Folk Festival, to name just a few), sold thousands of records, and received millions of streams. Andrew's first instrument was a guitar he purchased at the age of 14 with money he earned from working at Southern States, a farm store in his home town of Warrenton, NC. "It took me two weeks to pay for a hundred dollar guitar, but once I bought it, I just sat down and started playing with it. I haven't put it down since then. I've been writing tunes since I was fourteen." A guitar purchase was just the beginning for Andrew. At twenty, Marlin moved from his hometown to the southern music mecca of Chapel Hill. He couch surfed while learning the ins & outs of engineering at the Rubber Room Studio under the eye of local engineer Jerry Brown. Since that time, Andrew's reach has grown. He's gone from showcasing at open mics to playing for thousands of fans; from learning how to correctly coil an XLR cable to producing albums in notable studios like Echo Mountain. Aside from Andrew's work with Mandolin Orange, the albums he's produced for other artists have received notable success. Rachel Baiman's Shame was featured as one of NPR's "Songs We Love," Mipso's Old Time Reverie placed #1 on Billboard's Bluegrass Album Chart, Josh Oliver's Parts of Life was featured on Spotify's "Indie Bluegrass" playlist, and Kate Rhudy's Rock n' Roll Ain't For Me has received more than 550,000 streams on album tracks. When Marlin works with other songwriters in the studio and performs alongside musicians who share his love for traditional music, his philosophy is simple but powerful: it's all about the song. This belief and passion for creating song-driven recordings comes across in not only his own music but also in the production projects he takes on.